John Montgomery was a pastor in Scotland, but he and his wife had a burden for world evangelism. They felt God's call to be missionaries to the island of Barbados. They placed their six-year-old son, James, in a settlement in Ireland and sailed away, only to perish in Barbados. James spent his teenage years drifting from pillar to post, writing poetry and trying his hand at one thing then another. In his early twenties, he began working for a newspaper. He loved writing so much that James eventually bought the newspaper and renamed it the Sheffield Iris. His editorials proved unpopular with local officials, and he was thrown in jail a couple of times. But, he emerged from prison as a celebrity and he used his newly acquired fame to promote his favorite issues. Chief among them was the gospel. Despite the loss of his parents, James Montgomery had remained devoted to Christ and the scriptures. As the years passed, he became the most respected leader of Sheffield, and his writings were eagerly read by its citizens. Early on Christmas Eve, 1816, James opened his Bible to Luke 2, and was deeply impressed by verse 13. 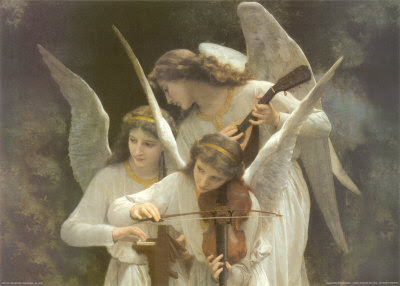 Pondering the story of the heralding angels, he took his pen and started writing. By the end of the day, his new Christmas poem was being read in the pages of his newspaper. It was much later set to music and was first sung on Christmas Day, 1821 in England. His parents would have been proud. *Taken from Then Sings My Soul - 150 of the World's Greatest Hymn Stories, by Robert J. Morgan.